I collect my own sage, bear root and cedar to make smudge bundles. I always light sage or burn cedar before I pray. For well over a year I have prayed for one person and lit sage or cedar. Psalm 141:2 says, “Let my prayer be set before You as incense, the lifting up of my hands as the evening sacrifice.” and even the foreboding book of Revelation 5:8 speaks of “golden bowls full of incense, which are the prayers of the saints”. No, I am no saint my transgressions are numerous and yet I continue to pray – not for myself – but thankful for where I live in the beauty of the Crow Reservation and for my few friends. My friend Shawndae was talking about his girls and how much he loves them – and he said “I pray for them everyday”. That moved me! 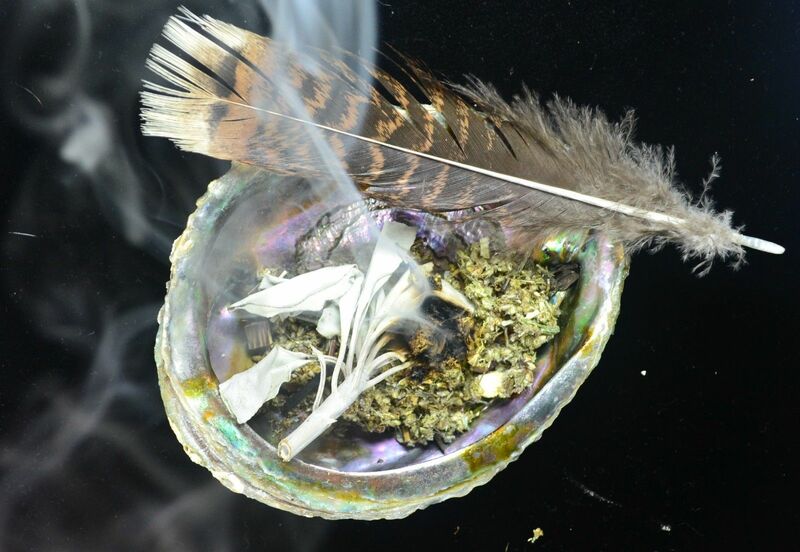 Smudging is a way to cleanse a space of all negative energy and spirits. I like to let the smudge “do the thinking” for me. The other night I lit a smudge (always before my evening prayers) and it just took over the room and the house. Thick caustic smoke cleansing everything. I thought to myself wow someone was really sending some negative spirits or energy to my home. I was thankful that the incense of smudge was lifting even my prayers.